Andy Tack was established in 2006 and is situated on-site at Johnson Brother Feeds, where the two companies work alongside each other to give our customers a one stop shop, fulfilling all your equestrian requirements all under one roof. We pride ourselves on our customer care and friendly and helpful service, where our enthusiasm and product knowledge ensures we remain one of the most reputable tack shops in the Midlands. Telephone orders are welcome and we accept all major credit and debit cards. 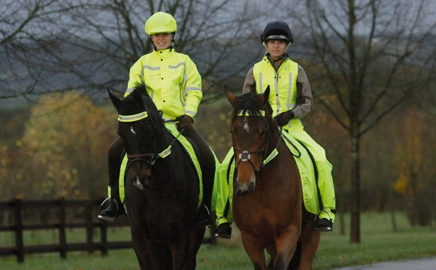 Andy Tack offer the widest choice of rider wear and accessories, all stocked under one roof. Included within our wide range of leisure and show wear, padded jackets, body warmers, fleeces, long waterproof coats, high visibility items, wellies, yard boots, thermal gloves, jodhpurs and socks. From leading brands all at competitive prices, we think you will be pleased with our riding wear range in terms of choice, quality and price! Andy Tack is your one stop shop for horse tack and equestrian supplies. Our mission is to help every customer find the product they need at the price they can afford. 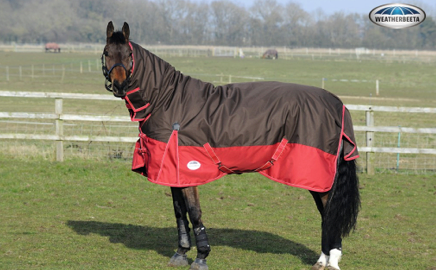 We offer a wide range of horse clothing to help keep your beloved friend cool in the Summer and protected against the harsh elements in the Winter. With top brands at affordable, even bargain prices, we are confident we have something to suit everyone. 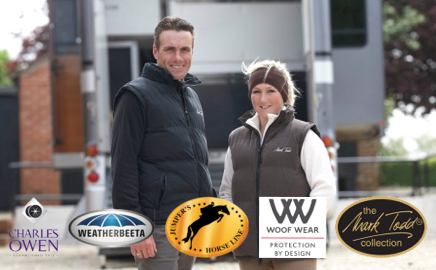 Andy Tack has an excellent trading reputation with all our equestrian suppliers, thus have an wide range of distributors to choose from, enabling us to offer our customers the most comprehensive range or equestrian wear and accessories available on the market today. With hold stock from all Major Distributors including Weatherbeeta, Charles Owen, Cavallo, Woof Wear, Hacked Off, Champion and Saddle Craft to name but a few. Welcome to Andy Tack, where you can expect a warm welcome and expert advice on all aspects of riding equipment. Specialising in all types of riding clothing and horseware, as well as horse feed, supplements and a huge choice of accessories, you can be rest assured you will find everything thing you need all under one roof at competitive prices! Andy Tack was established in 2006 and is situated on-site at Johnson Brother Feeds, where the two companies work alongside each other to give our customers a one stop shop, where we can fulfill all your equestrian requirements all under one roof. Telephone orders are welcome and we accept all major credit and debit cards. Andy Tack offer a wide range of rider wear from all major equestrian distributors, including a wide range of leisure and show wear, padded jackets, body warmers, fleeces, long waterproof coats, high visibility items, wellies, yard boots, thermal gloves and thick jodhpurs, all stocked on-site at competitive prices. I had never ridden before and after starting lessons in December 2009, Andy Tack was recommended for to me to go and get my hat from. Since then I have gone back for all my riding gear. Very friendly service, Jan always remembers me and my family and asks me how I am getting on with my riding. Highly recommended. Jan has been really helpful, having found a problem with our clippers Jan contacted the manufacturer and organised for the rep to take them to be sorted. Jan is always happy to help and order something in if she doesn’t have it in stock. Always an excellent place to buy from. We had the pleasure of visiting Andy Tack this weekend as our six year old daughter is just starting riding lessons. Being complete novices to this we were helped every step of the way by a really lovely lady we will be back. Thank you so much for your help. 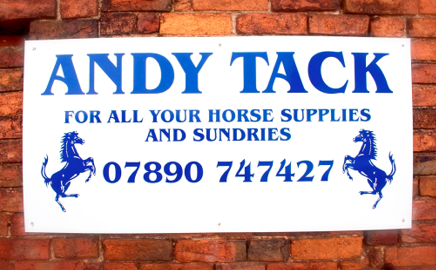 This tack shop is a brilliant find – The owner is fab always friendly and helpful trying to find the best price for her customers. I moved away from the area for two years came back and it was still as good as it has always been. Would recommend this shop to anyone!